Townhouse facade doubles as an RMS Titanic Memorial. RMS Titanic Memorial. Photo by Tommy Rudnick. Sorry, RMS Titanic Memorial is permanently closed. Over fifteen hundred passengers and crew members lost their lives when the “unsinkable” RMS Titanic collided with an iceberg on the evening of April 14, 1912. It wasn’t until seventy-two years later, however, that Joseph Colletti decided to erect his own memorial for the steamship, once considered the largest in the world. One of the oldest Jewish cemeteries in the city, it is now overgrown with an urban forest. 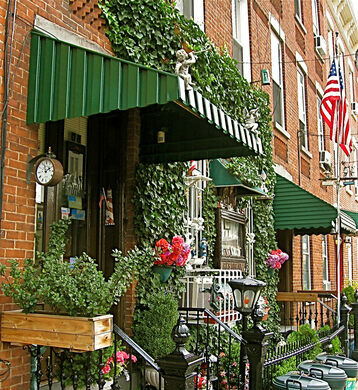 Colletti, who felt inspired after watching Raise the Titanic, chose the exterior of his townhouse for the site of his shrine. 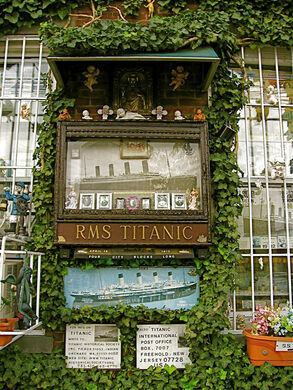 Located near the Pulaski Bridge in Long Island City, New York, the RMS Titanic Memorial has stood as both a monument to the luxury ocean liner, as well as an eccentric local landmark for the Queens neighborhood. Obsessed or not, Colletti’s efforts to memorialize the Titanic have not been in vain. As a member of the Titanic Historical Society, Colletti has spent much of his life collecting memorabilia and corresponding with survivors. Now – nearly a century later – after the last remaining survivor passed in June of 2009, the plaques and letters adorning the walls of Colletti’s home are some of the last relics from one of the 20th century’s greatest tragedies. Known by many as “Titanic Joe,” Colletti can be seen outside his home on most days, maintaining the memorial and waving to people on the street. A note to visitors, however: when he’s not outside, Colletti can sometimes be caught indoors, spying on guests from one of his three surveillance cameras. For some lucky visitors, he might even come outside and strike up a conversation. Unfortunately as of 2015, the shrine is gone and the building is up for sale. 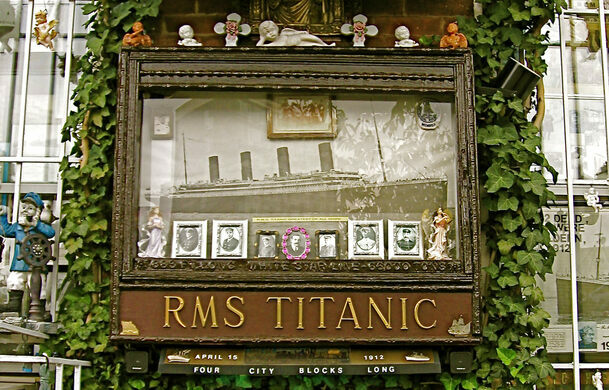 Another odd Titanic Memorial can be found at the Addergoole Titanic Monument, a monument erected in Addergoole, Ireland a small Irish village which suffered the greatest proportional loss of life when the Titanic sank, and pieces from the Titanic can be seen at the wonderful and bizarre House on the Rock in Spring Green, Wisconsin. Guerilla gardeners reclaimed this abandoned railroad land literally putting down roots.